Three pendant lights, purchased in Bangkok, line the passageway to the bedrooms and reinforce the vintage look. 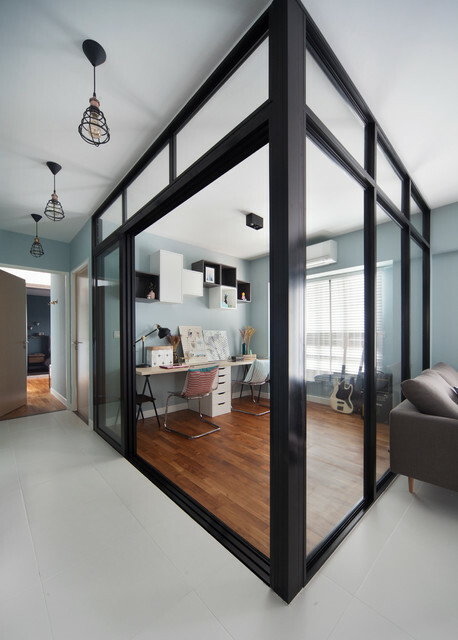 Meanwhile, new black aluminium-framed glass walls form a bright study with a cool urban aesthetic. The design team kept the original parquet flooring of this former bedroom but revarnished it to a darker tone, says Lee.